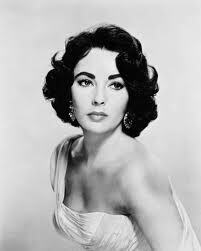 In Memory of beautiful Elizabeth Taylor! She really was beautiful! I read her biography a few years ago and boy she had an incredible life and survived domestic violence and many close calls with her health. I'm a little sad today. am a little shocked as have only just found out!!!!! She was indeed a gorgeous woman who lived her life to the fullest! and she's a woman making it in a man's world.